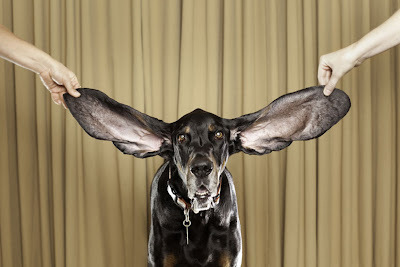 On September 2011, the Guinness Book of World Records announced the longest ears of any dog belongs to a Coonhound named Harbor. His magnificent ears measured 12.25 inches and 13.5 inches long (left and right respectively). I wonder how much earwax he produces!